Thirty three ladies from Didcot Evening WI spent a wonderful afternoon at Denman on Tuesday 24 April 2018. 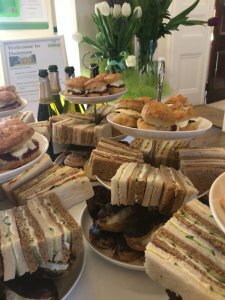 The theme of the afternoon was “Afternoon Tea”, and it was to say thank you to our members who have given us support over the years. Denman did us proud. We gathered in the Drawing Room at 2.00p.m. and listened to a short talk by one of the many volunteers on the history of Denman; this was followed by a tour of the house, stopping off to see ladies busy making quilts, and some doing art. Now was time for our “Afternoon Tea”! 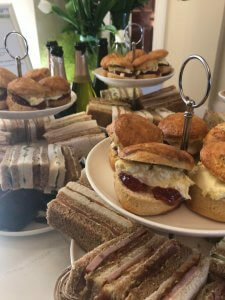 We enjoyed sandwiches neatly cut; lovely miniature cakes and of course scones with jam and cream all put together by the catering team, who even looked after our gluten free lady. The chatter around the tables was brilliant, everyone enjoying themselves, we even had time to visit the Gift Shop and Fabric Shop. After this wonderful afternoon we were told that this was the first time that Denman had entertained a group for Afternoon Tea. We were very honoured to be the first! 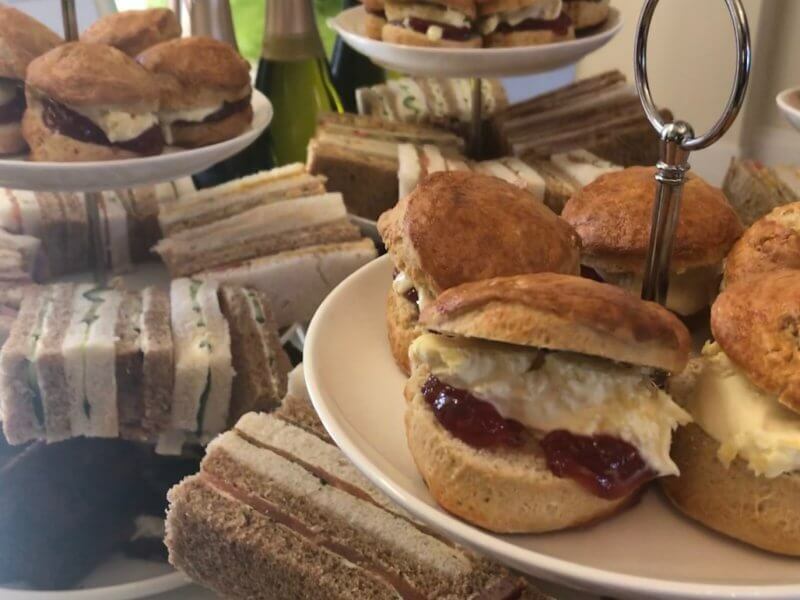 If you’re interested in hosting an afternoon tea for your WI or for a group of friends and family, please contact us on marketing@denman.org.uk or 01865 391 991 extension 233.